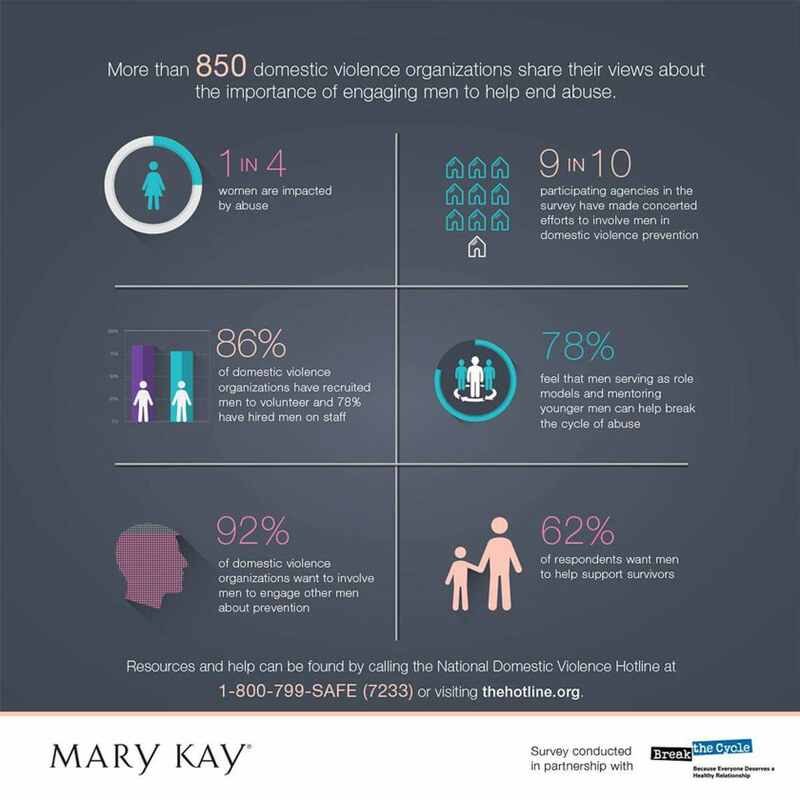 Mary Kay is inspiring men to help end domestic violence. Men Don’t Look Away is a program designed by Mary Kay to inspire a national dialogue about the importance of engaging more men in the effort to prevent and end domestic violence. During the inaugural Men Don’t Look Away Summit, Mary Kay convened leaders and domestic violence advocates from across the country to create a framework to engage men as advocates, volunteers and ambassadors. Click here to access the Men Don’t Look Away Insight Guide on how to attract and keep men as volunteers. The Men’s Don’t Look Away Summit invited community leaders and advocates to discuss the importance of men’s roles in bringing an end to domestic violence in the United States. Mary Kay is committed to engaging men in the discussion and bring awareness to the issue of domestic violence through the Men Don’t Look Away program. Mary Kay is redefining what it means to “man up” by encouraging men to be positive role models. What does “man up” mean to you? Mary Kay takes a closer look at how healthy relationships define men of character.